After breakfast, transfer to Bangkok domestic airport. Depart Bangkok by TG-102 (air ticket is not included). Arrive at Chiang Mai Airport. Drive to Chiang Rai and lunch at local restaurant. Continue to Chiang Saen, the former capital of the first Thai Kingdom, situated directly on Mekong River at the border between Thailand and Laos. Visit Wat Phra Dhat Jom Kitti by climbing 383 steps to the top of the hill. Also visit Wat Chedi Luang and small museum nearby. Continue by long-tail speedboat upriver on the Mekong toward Golden Triangle where borders of Thailand, Myanmar, and Laos meet. Breakfast Depart from Chiang Saen to Mae Sai, the northernmost Thai town on the Myanmar border. Walk around the local market with plenty of shopping opportunities. Proceed with a visit to the Fish and Monkey Cave. Then continue the trip to Doi Mae Salong, passing through beautiful mountain scenery. Mae Salong lays 1800 meters above the sea level and is famous for its tea plantations. There are Chinese temples, ethnic tribes living in the area, and plenty of open-air bazaars offering Chinese specialties such as tea and locally grown preserved fruits. A Yunnan-style lunch is served at Mae Salong Villa, offering striking mountain and valley views. After lunch, drive to Chiang Rai where you visit the Black House (Baan Dam). This impressive structure is the unique creation of national artist, Thawan Duchanee. Part art studio, part museum, part home, Baan Dam is an eclectic mix of traditional northern Thai buildings interspersed with some outlandish modern designs. After the visit here continues the drive to Chiang Rai city, taking time en route to relax at Cheevit Tamada, a quaint coffee house near the Kok River. Breakfast Leave hotel for the boat landing. Board simple longtail motorboats for a three-hour journey up Kok River, passing tiny hill-tribe villages, bamboo huts, and jungle scenery. Disembark at Ban Pha Tai and continue by bus to Mae Kok River Village Resort for Lunch. After lunch, visit Wat Thatorn, a large temple complex in a very attractive setting only a few kilometers from the border with neighboring Myanmar. The temple is located on top of a hill overlooking the village of Ban Thaton and the Mae Kok river. It is built over several levels of a forested hill offering magnificent views over the surrounding rural area Proceed to Mae Rim via Fang and Chiang Dao. Afterward, head to the hotel for dinner and overnight. Dinner followed by a presentation of Meo dances. 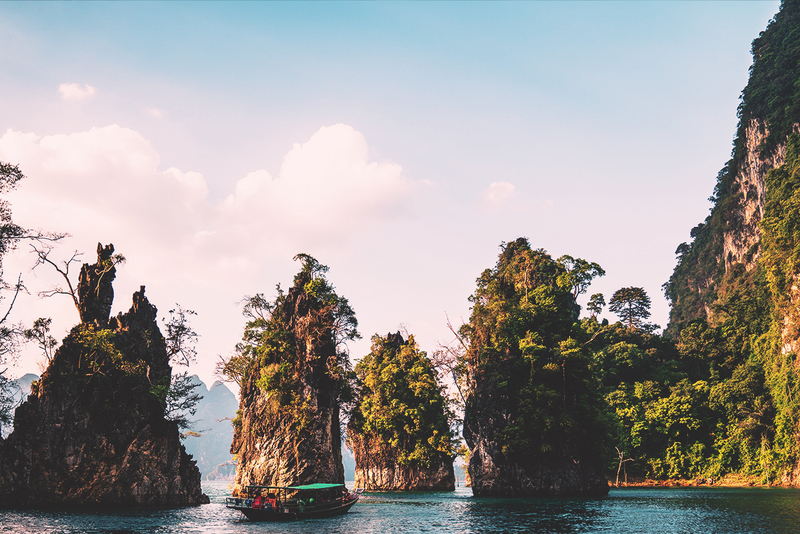 After breakfast, visit an orchid farm where you will see a greater variety of species and colors of this kind of flowers that grows in Thailand. Afterwards, drive to Elephant POOPOOPAPER Park. An eco-friendly naturally built outdoor museum park that introduces and explains the unique steps involved in making paper products from elephant poop fibers! Then, continue to The Dara Pirom Palace Museum (closed on Monday). An elegant house of the late Princess Jao Dara Rasamee, one of the princess consorts of King Rama V, transformed into the museum full of exhibits showing the palace décor as well as Chiang Mai’s rich culture and history at the time of her life. Lunch at local restaurant. In the afternoon, visit Handicraft Villages to see the manufacture of lacquerware, spinning, and weaving of Thai Silk and to watch how paper umbrellas are made. Also, visit a well-known Thai wood-carving factory, with the possibility of buying Burmese antiques. 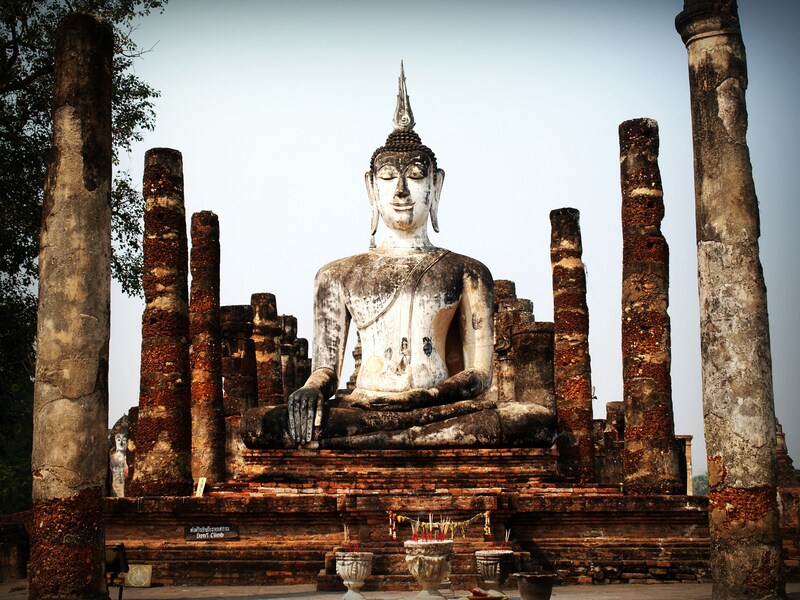 Following breakfast, visit the most interesting temples in Chiang Mai, like WatPhra Singh with its famous Buddha image, Wat Chiang Man, the oldest temple in Chiang Mai and built by King Mangrai, and Wat Suan Dok, housing remains of many generations of the old Chiang Mai Royal Family. Also, visit Wat Doi Suthep, tucked away in the mountains at 1,056 meters above sea level. Lunch at local restaurant. Transfer to Chiang Mai Airport for your flight to Bangkok (flight not included, to be booked by agent). Upon arrival in Bangkok, you will be transferred to your hotel. After breakfast, depart to Kanchanaburi province (128 km. to the west of Bangkok) Visit Thailand–Burma Railway Centre an interactive museum, information, and research facility dedicated to presenting the history of the Thailand– Burma Railway. The fully air-conditioned center offers the visitor an educational and moving experience. Visit Allied War Cemetery which is memorial to some 6000 allied prisoners of war (POWs) who perished along the death railway line and were moved post-war to this eternal resting place. Visit the world famous Bridge over the River Kwai, a part of Death Railway constructed by Allied POWs. Take a long-tailed boat on River Kwai to River Kwai Resotel. Check–in and have Lunch upon arrival. Take an exciting boat ride upstream to visit nearby ethnic Mon Tribal Village. Then return to the hotel. Dinner, followed by a 45-minute presentation of Mon Dance. Following breakfast, take an exciting boat ride downstream to Resotel Pier and continue to visit the Hellfire Pass Memorial. Check-out at 11 AM. Lunch at local restaurant. Take a historic ride on Death Railway Train passing over original wooden viaduct constructed by Allied POWs. Afterward, head back to Bangkok to check-in to your hotel. Begin your morning with breakfast. 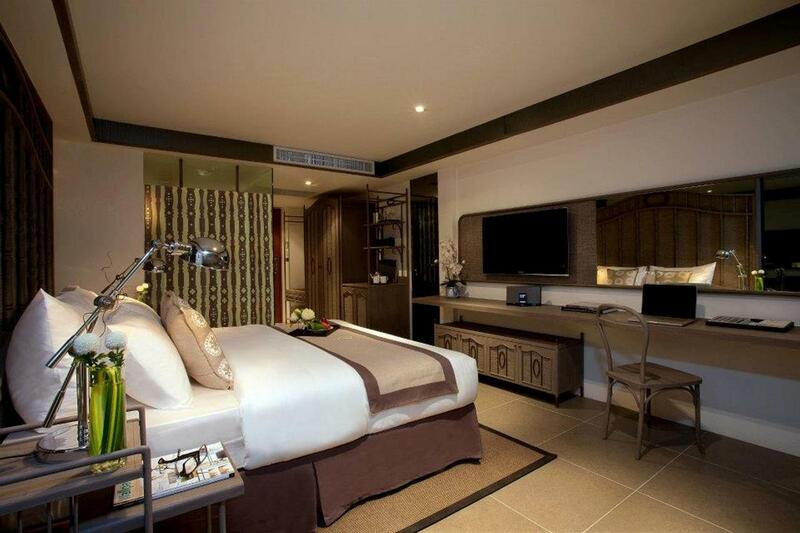 Located on the charming Phra Arthit Road, Riva Surya Bangkok offers stylish air-conditioned rooms with free WiFi. The hotel is equipped with a fitness center and two swimming pools for adults and kids. 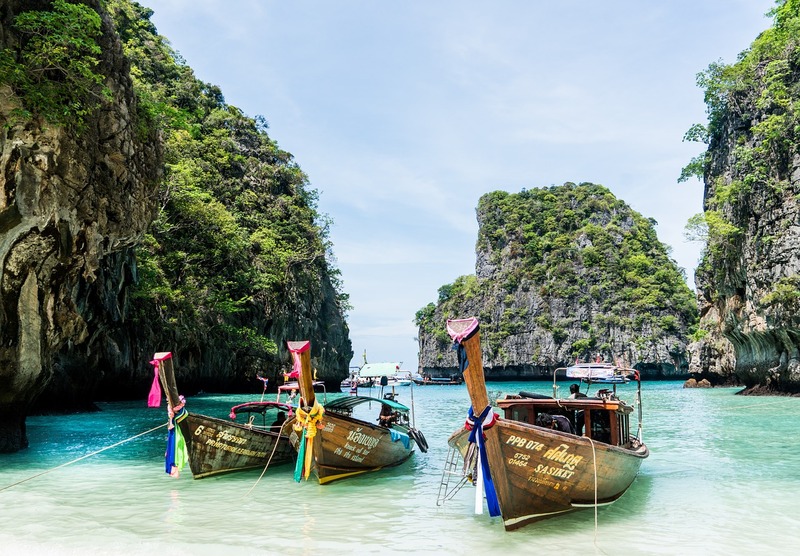 The property is a 5-minute walk to Khao San Road and a 10-minute walk to The Bangkok National Museum. Suvarnabhumi Airport is a 1 hr drive away. Tastefully furnished with contemporary decor, rooms at Riva Surya feature a flat-screen TV, an iPod docking station and a safety deposit box. A mini-bar and an electric kettle are provided. Free toiletries and a bathrobe are included in an private bathroom. Some rooms come with a private balcony. Staff at the 24-hour front desk can assist guests with laundry services and safety deposit box. Other conveniences include an on-site tour desk and free private parking. Guests can also enjoy the stunning views of the river from the restaurant on site. With indoor and outdoor dining options, the babble & rum Restaurant daily serves diverse and delectable authentic Thai, Asian and European cuisines. With sweeping views of the Chao Phraya River, The Garden and Mezzanine Bar offer a wide range of wine and cocktails. Room service is available upon request. Overlooking the Mekong and Ruak Rivers, The Imperial Golden Triangle Resort offers accommodations with scenic views and free WiFi access. Its facilities include an outdoor swimming pool and a restaurant. 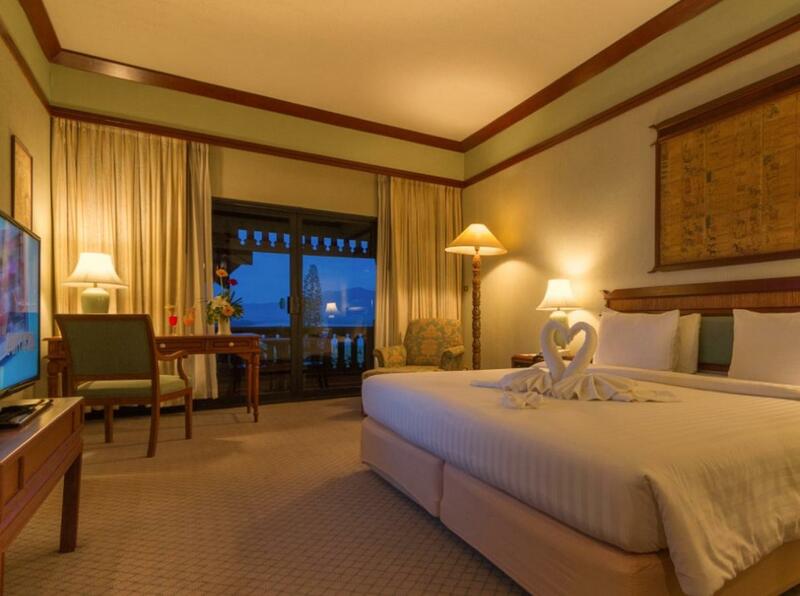 The Imperial Golden Triangle Resort features rooms with private balconies and traditional teak furniture. Each room has a satellite TV, mini-bar and air conditioning. Guests can enjoy recreation facilities including landscaped gardens and a jogging track. Massage services and an airport shuttle are available. The resort’s Border View Restaurant serves northern Thai cuisine and international dishes. Drinks are available at a Karaoke lounge and lobby. The Imperial Golden Triangle Resort provides views of the borders of Myanmar, Laos and Thailand. Located along the banks of Mae Kok River, The Legend Chiang Rai Boutique River Resort & Spa features Thai Lanna architecture, panoramic views of the hills, mountains and river, an outdoor infinity pool with massage jets, as well as 3 on-site restaurants. Guests can enjoy free WiFi in all areas, and private parking. There is van transfer service to Night Bazaar and the walking street on Saturdays and Sundays. Each spacious studio and villa are fitted with an open living room with large windows that open out to view of the river or garden, and an outdoor bathroom with natural stone tiles. Other amenities include a personal safe, mini stereo, DVD/CD Player, and satellite TV. A tea/coffee maker, mini-bar and hairdryer are provided. The Legend Chiang Rai Boutique River Resort & Spa also features the Chiang Saen Spa which features both indoor and outdoor treatment rooms, and a well-equipped fitness room. Guests can approach staff at the 24-hour front desk for assistance of tour and excursion arrangements, cooking class opt-ins, and bike/car rental. The Empress Hotel enjoys a quiet location in Chiang Mai, yet is a convenient 10-minute walk from the Night Bazaar. It has an outdoor pool, a massage parlor, and 2 restaurants. Free WiFi is available. Furnished in a modern Asian style, rooms feature a seating area by a floor-to-ceiling window. Each air-conditioned room has a TV with international channels and a mini-bar. En suite marble bathrooms have shower facilities. Guests can relax in the sauna, or exercise at the fitness room. Other facilities include a business center and a shopping arcade. The hotel also provides car or bicycle rental, concierge assistance, and 24-hour room service. Buffet breakfast is served in Chao Nang Coffee Shop. Panda Palace offers Chinese specialties, while La Brasserie Grillhouse specializes in French dishes. Refreshments can be enjoyed at the poolside bar. 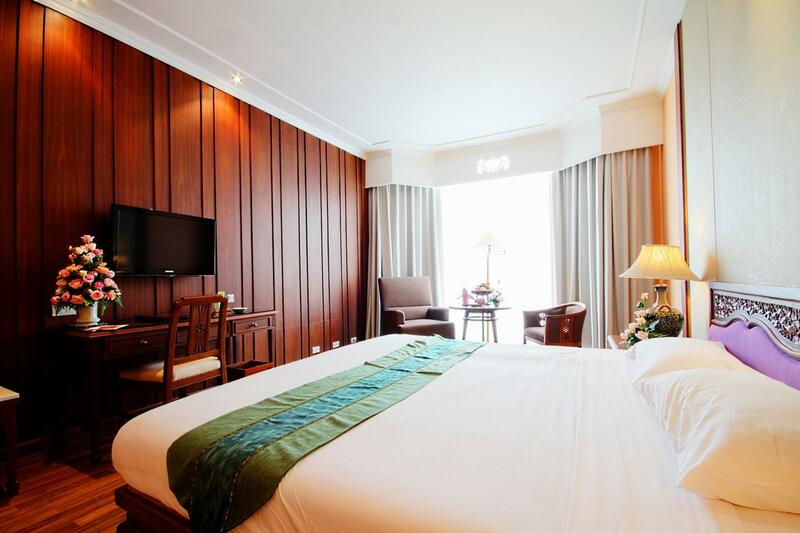 The Empress Hotel is a 20-minute drive from Chiang Mai International Airport. Two-way airport transfers are provided at an additional cost. Chang Khlan is a great choice for travelers interested in shopping, night markets and street markets. River Kwai Resotel is a villa-style resort nestled on the banks of the Kwai Noi River in Kanchanaburi. It features air-conditioned rooms with an outdoor pool and a restaurant. Free WiFi is available in the lobby area. 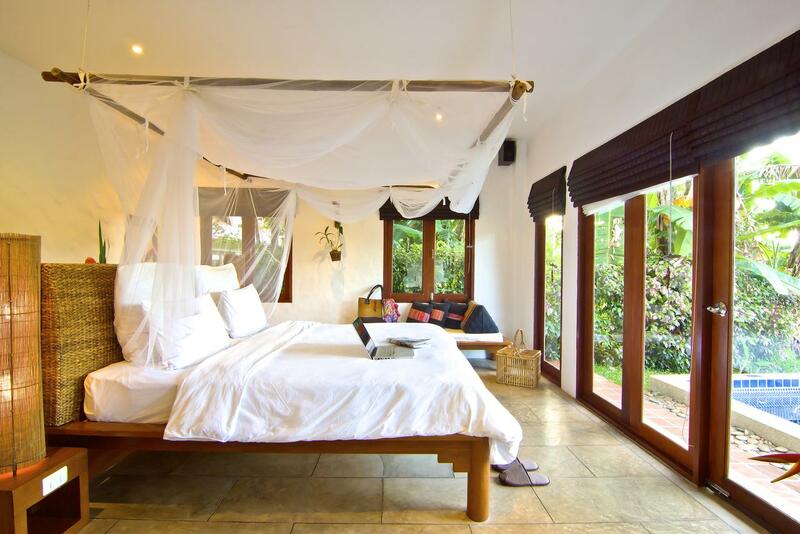 Surrounded by tropical forests and mountains, all rooms offer a balcony, satellite TV and refrigerator. Free tea/coffee making facilities and bottled water is provided. Private bathroom is equipped with shower facility and free toiletries. Guests can enjoy a relaxing Thai herbal massage or buy a gift from the Resotel Crafts Village. Tours and sightseeing can be arranged by the resort. Laundry services and free parking is available. Traditional Thai and international cuisine are served at the jungle-styled restaurant. A bar offers beverages including cocktails and beers. 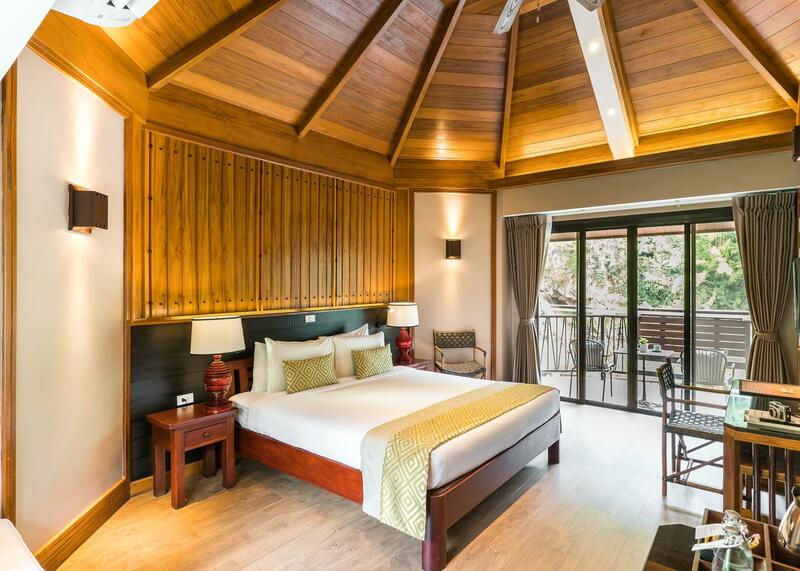 Located on the edge of Saiyok National Park, River Kwai Resotel is within walking distance to Lawa Cave. It is also accessible by a 9-minute boat ride from Phutakian Pier (Resotel Pier) in Kanchanaburi. Guests can rent a bike to explore the surroundings. Overlooking the lush mountain and the River Kwai, the on-site restaurant serves a selection of authentic Thai dishes, local Mon specialties, and international delights. Club House Bar has a wide range of alcoholic drinks and refreshing beverages.